Pierre Joris, Anna Strong, and Ariel Resnikoff joined Al Filreis to talk about Paul Celan’s well-known poem “Corona.” Celan had chosen to continue writing in German after the elimination of Jews from his town and the murder of his parents by the Nazis and their fascist allies — and maintained, to the say the very least, a complex relationship to the mother tongue he kept using with increasingly inventive disfiguration. There was a good deal of knowledge of the original difficult German in our Wexler Studio, although as PoemTalk is an English-language podcast series we focused on the challenges of the English translation. Our translation was done by Jerome Rothenberg in the late 1950s for his groundbreaking anthology New Young German Poets (1959, City Lights). Another, more recent source for this and other Celan poems is Pierre Joris’s Paul Celan: Selections (University of California Press, 2005), where his own and others’ translations are variously available. While for his edition Pierre selected the now-classic Rothenberg version of “Corona,” in our conversation he (and also Anna) offer nuanced observations about alternative choices and possibilities. Is “Corona” first and foremost a love poem? (Pierre persuasively leans toward that view — and offers a reading of the Paul Celan–Ingeborg Bachmann affair.) Or is it a poem about the dream of finally speaking out the truth, from a casement, to a gathering of the Austrian public, about hate’s annihilating effects? 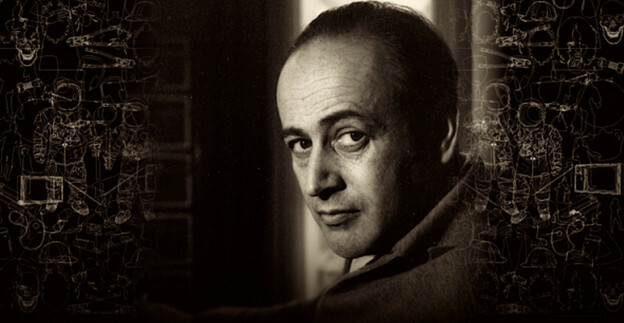 Anna and Al in particular favor the latter, darker view of the truth Celan feels it is time to know. What particular darkness do the lovers whisper? Or is it the goodly darkness of their night together? Obviously this poem, typical of Celan’s radical linguistic openness, makes space for both approaches, and more. The director and engineer of PoemTalk episode 107 was Zach Carduner, and the very same Zach Carduner edited the recording. Over at the Poetry Foundation in Chicago, we welcome a relatively new PoemTalk colleague, Meaghan Winston. We wish also to thank Cassie Mayer, Director of Digital Programs, for her ongoing support. Next time on PoemTalk we will turn to a poem/performance piece by Tracie Morris called “Slave Sho to Video aka Black but Beautiful.” For our conversation Al will be be joined by Edwin Torres, Camara Brown, and Brooke O’Harra. Autumn is eating a leaf from my hand: we are friends. and time rushes back to its shell. In the mirror it’s Sunday. the mouth tells the truth. like the sea in the moon’s bloody rays. it is time that they knew! that unrest formed a heart. It is time it was time.